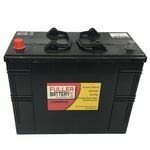 County Battery specialises in batteries and has over 40 years of experience within the industry, providing customers with an extended range of quality and reliable batteries from trusted brands including Fuller and Enforcer. We offer specialist knowledge and excellent service to our customers, selling batteries based on quality and price. County Battery provides premium commercial batteries for lorry, HGV, tractors and farm equipment online and in our shops. County Battery stock a selection of commercial batteries able to power and deliver outstanding reliability, durability and quality. 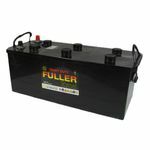 Fuller and Enforcer are the leading brands when it comes to commercial batteries, which we supply for use on HGV, heavy plant, lorry and agricultural/farming equipment and vehicles. 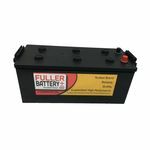 With County Battery next day delivery, Saturday delivery and free delivery options are available within the UK for Fuller and Enforcer batteries. 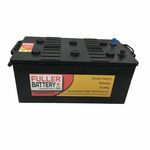 Fuller has been serving the British public with quality batteries for almost 200 years, and are a trusted brand for all types of batteries. 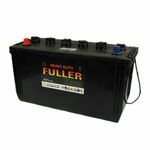 Fuller specialises in a wide selection of batteries including all types of vehicles, especially commercial vehicles. 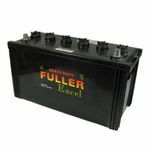 Fuller motor branded batteries provide guarantees from anything between 1 to 4 years. 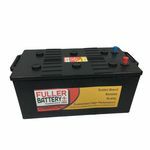 Fuller commercial batteries are designed for heavier and larger vehicles like vans and trucks. Our premium heavy duty Fuller range of Commercial Battery utilises some of the latest technology and gives the extra benefit of a 1 year guarantee. Being of ultra-low maintenance and heavy duty the Fuller Commercial Battery range has excellent capacity giving peace of mind when extra starting power is essential. 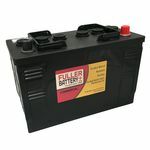 The Enforcer brand is one of the top brands in the automotive battery market. 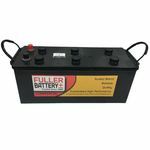 The premium Heavy-Duty Enforcer Commercial Battery includes latest technological advances in battery power and requires very little maintenance. 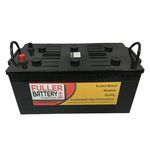 Being Heavy Duty, the Enforcer Commercial Battery offers great power and reliability. At County Battery, we believe in fitting the best quality battery providing your vehicle or appliance with the power to run efficiently, last longer and be more reliable. We do not promote the 'Buy Cheap, Buy Again' motto; we promote 'Buy Quality, Buy Longevity'. We make sure that we sell you the right type of commercial battery for your requirements. 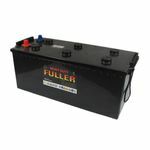 Our Find by Fitment page helps and guides you to the battery suitable for your lorry, van, tractor or plant equipment. Just enter details of your current battery and find the exact battery or a suitable replacement. 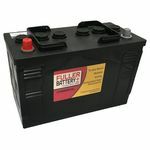 County Battery Services provides quality and excellent service both online and in store. You can also visit one of our retail shops based in different regions of Nottinghamshire; Kirkby-in-Ashfield, Nuthall or Ilkeston. We also fit as well as test batteries at our shops. If you are still struggling to find a battery for your lorry, HGV, tractors and farm equipment, call our friendly Battery Experts on 01623 757377, and we will help you choose the right battery for you. 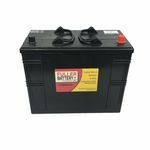 Check out our Blog page for advice and tips on Commercial batteries and all types of batteries from the Battery Experts.